Many people think the only way to revert to hardwood is to cover the existing wood with another expensive layer. In past, sanding down the old wood floors was a costly and dirty job. 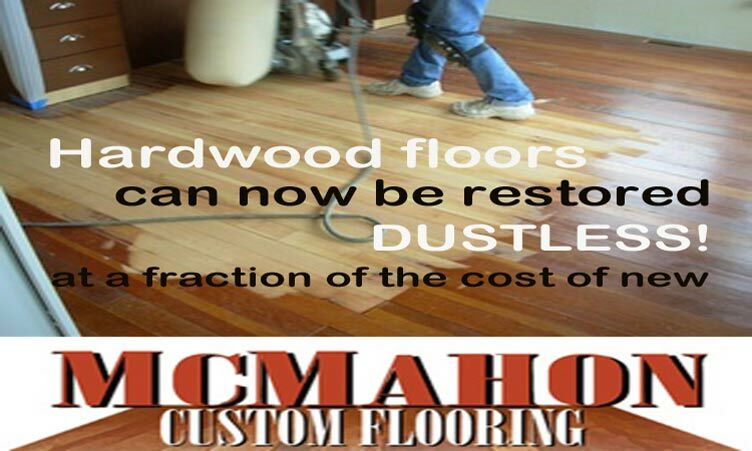 The good news though is that McMahon Custom Flooring has the machinery to do the job with a “dust busting “method to restore your hardwood floors at a fraction of the cost of laying another hardwood layer. Not every floor is the same of course. It is best to call John McMahon to let an experienced eye assess the best way to re-charm your home floors. John has many years of experience in installing new floors, as well as restoring. Visit his listing by clicking here or call 519-482-7713.